VANCOUVER, BC, Mar. 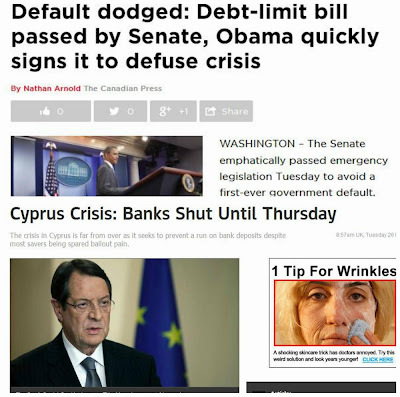 30, 2013/ Troy Media/ – The extended down drift of general B.C. consumer prices since last April took an abrupt turn in February as a rebound in gasoline and higher vehicle prices fuelled stronger inflationary pressure. B.C.’s consumer price index (CPI) rose 0.9 per cent from the same-month in 2012, which marked a six-month high following an annual inflation trend of less than 0.5 per cent during the previous three months. On a month-to-month basis, the CPI rose 0.8 per cent on a seasonally-adjusted basis – the sharpest one-month uptick since the introduction of the HST in July 2010. Transportation was the primary driver of the upshift in annual inflation. Gasoline prices increased 5.5 per cent relative to the same-month in 2012, while prices associated with the purchase and lease of vehicles were up 2.5 per cent. On a month-to-month basis, gasoline rebounded more than 8 per cent following cheaper prices over the past three months. Above average annual growth was also recorded in food prices, particularly produce and dairy goods. Despite February’s uptick, overall inflation remains at a subdued level and tempered by year-over-year declines in shelter-related prices, particularly natural gas, as well as clothing and health-product prices. Average full-year inflation is forecast to reach 1.2 per cent this year as price levels edge higher. While the switch back to the PST is expected to causing a one-time drop of about 0.3 per cent in the CPI, the tax impact will be offset by global-economy led gain in food and energy prices. 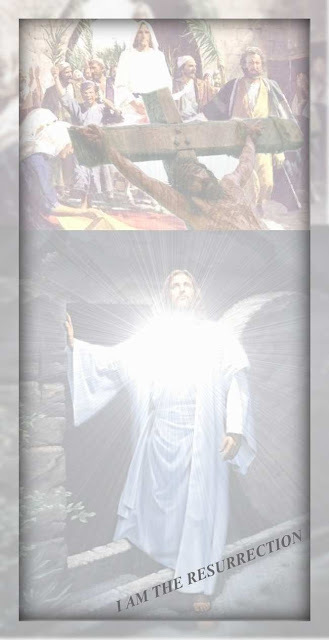 His death, burial and resurrection means He paid the debt of the sin of mankind, which had separated man from God since that terrible day in the Garden of Eden. God’s only begotten Son has reconciled what no man could reconcile and once again made the way for man to become whole by coming into perfect union with God Who made him. 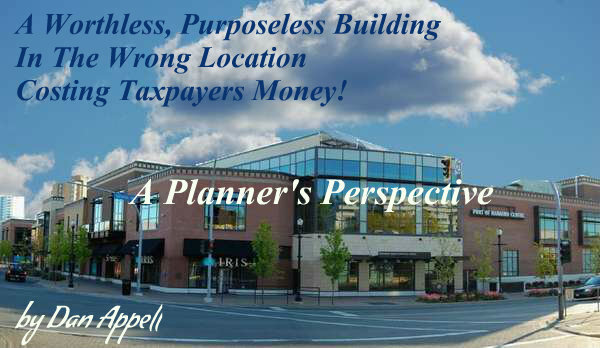 Note: The following article is written by Mr. Dan Appell, a forward thinking planner, who offers here his opinion on what is wrong with the conference centre and why we need a fresh approach in order to see Nanaimo reach it's full potential. This is not a fluff and stuff piece, and is worthy of more than a casual read. I would suggest you would do well to read his opinion several times, and I guarantee if you do, you will come away with a different idea about the conference centre, and downtown Nanaimo. You may download this article in a PDF version to save to your own computer by clicking HERE. Building a hotel next to the conference centre has many drawbacks. The possible benefits of the plan are insignificant relative to the city’s accommodation industry, while the industry will be exposed to a considerable risk. It is difficult to understand why a great deal of effort and money are being devoted to achieve such a normal effect. Atlific Communications, the group that manages the conference centre, points out that without a five star hotel next door the conference centre has difficulties overcoming objections to the lack of hotel space in the area. This is one of many objections to not taking advantage of Nanaimo’s venue. Overcoming this one objection might result in a few more bookings. Those who would still consider a new hotel a reasonable response to this objection ignore all the costs relative to possible returns. As well, those proponents of the hotel are ignoring all the expert opinion from the hotel and financial industries. To make sense of the arrogance of their position is beyond my capabilities. There is very little short term benefit to this project and the long term effects will be crippling. There has to be a much more intelligent, and realistic approach to solving the problems associated with the conference centre. My background is in city planning. As a planner all I do is argue for efficiency. This is my only socially redeeming function. Increased efficiency is the result of increased production and decreased consumption and waste. The net result of a more efficient city is a city that is easier to live in. The city’s industries become more competitive relative to other centres. It is easier to find a job and earn a living. It is easier to increase wealth, and the wealth that is created tends to stay in the city. It is easier (less expensive) to get from one place to another. The city’s population is generally healthier and happier. If all we do is increase efficiency within the city, by even a little bit, the benefits overtime are considerable and reach everyone. On the other hand, if inefficiency is maintained or created, the negative impact over time is likewise considerable, and unbalanced towards the disadvantaged. The conference centre represents one of those many instances where the city has interfered with the development of the city in such a way as to make it less efficient. With only arrogance and delusion to guide them, city leaders made a whole series of blunders that made this city less capable. The effects of this conference centre on an annual basis are fairly small, but they accumulate. Failure to address this problem will make our city significantly less competitive, less capable of attracting investment capital, and less flexible in our response to the dynamics of a global economy. We will have to dig deeper into our pockets to pay for the upkeep of our city and we will be less capable of supporting amenities we all enjoy. In short, while the initial effect is small, the conference centre makes it increasingly harder for all of us to live in this city. With respect, the conference centre's problem with bookings is not that big a problem. We have an entirely different set of much bigger problems associated with that conference centre. From an urban planning perspective and the desire to make this city more efficient, we have four major problems associated with the conference centre: 1) It is a worthless building; 2) it is rapidly becoming purposeless, 3) it is in the wrong location; and it is costing us money. These are serious problems that need to be addressed sooner rather than later. These are real problems that a new hotel doesn't solve. In fact, the new hotel will create a whole new series of inefficiencies that will acerbate the situation. This is a bitter pill to swallow. We spent about $75 million on a building that is worthless. I believe city hall is just waking up to this reality now. The proposed plan for the hotel involves giving it over to a private firm for a dollar. From a planning perspective, at least we get a dollar. The problem is that building is on land that has some value. That land is being devalued only because the building that is on it is worthless. For a city planner the greatest crime is to reduce the value of land by adding development. The purpose of development is to add value to land. An ideal development policy would direct us to ensure all land is developed to its highest and best purpose. There is a circle in hell specifically for planners who allow development that takes away the value of land. The conference centre is on land that, at the very least, should be returning taxes to the city. This is land that can be much more productive than it is now. There is a lot of land in this city that, because of its location and typography, can't be productive. This is not one of those locations. This is the corner of a major node in the centre of this city. This property ought to producing a significant amount of wealth for those who own it. The fact that we owners have sunk a huge amount of wealth into this location, and we are still sinking wealth into it, and, if things continue, we will sink even more wealth into this property with nothing to show for our investment but a worthless building, that is a huge problem. Does this hotel deal solve that problem? No. The hotel deal makes sure that problem doesn't get solved for the duration of the lease. Our grandchildren are going to be returned a building that is still worthless on property that has being effectively rendered unproductive. "JUST THE NEWS YOU NEED"
You can have the convenience of having Nanaimo Info Blog delivered to your email address every day. That way you can keep informed of important local issues without having to remember to visit this website everyday. It's quick, it's easy and it's FREE and FREE is good. So why not enter your email address on the Blog Updates Form and join the many happy readers who already have. You can rest assured your email address is kept completely confidential and the only thing it is used for, is sending YOUR copy of this website every day. Vancouver Island : " While retiree demand is forecast to improve slowly over the forecast horizon as baby boomers revisit retirement plans, overall sales will remain stunted. " VANCOUVER, BC, Mar. 28, 2013/ Troy Media/ – Housing will drag on provincial economic growth in 2013 and 2014 as constrained demand will suppress home sales and growing inventory will lead developers to dial back project starts. Weak market conditions will fuel modest price declines in most regions this year before stabilizing in the latter half. Resale transaction volume and housing starts are expected to trend to more respectable levels in 2015, as stronger economic growth results in higher incomes and demand fuels activity. A B.C. housing market recovery will depend on the strength of economic and population growth, given that mortgage rates, already at near historical lows, will not be a catalyst for a rebound. However, the signs don’t look good for a substantial rebound over the next two years. We forecast economic growth will remain subdued at about 2 per cent this year, following last year’s deceleration to 1.9 per cent. Growth will accelerate in 2014 as U.S. growth pulls the B.C. economy into a higher gear, but gains will remain modest. The growth cycle is forecast to pick up through 2015 and beyond as a global economic pick-up kicks into higher gear. The provincial labour market will underperform, accordingly. While employment growth accelerated to 1.7 per cent last year, following an abysmal 2011, gains were front-loaded with little improvement following the spring. Substantial labour market slack contributed to below average income growth. One of the few bright spots was a shift of the market towards full-time employment, suggesting some consolidation of employees and increased hours per worker. Employment is forecast to rise by only 1.3 per cent this year with modest improvement in 2014 and 2015, generating income growth in line with inflation. Low population growth has both contributed to and been reflective of the subdued economic expansion and labour market conditions. B.C. residents have been attracted eastward to the Prairies by attractive job prospects and incomes, more than offsetting net inflows from other provinces. Annual inter-provincial net migration was negative for the first time since 2003 and that trend looks set to continue. Net international migration – the primary source of population growth — picked up from a multi-year low in 2011, but remained below average as global economic conditions slowed the fl ow of entries. Population growth is forecast to trend at or below 1 per cent through 2015. Subdued employment trends and weak population gains point to a slowdown in household formation, which will generate tempered homeownership demand through 2014. Mortgage financing constraints will continue to hamper sales activity. Last year’s reduction in the maximum amortization period for federally-backed mortgage insurance to 25-years curtailed buying power for lower-equity and first-time buyers. Shorter amortization periods are similar to a permanent interest rate bump and lower the maximum amount that can be borrowed by households, which reduces the pool of qualified buyers. Mortgage insurance was also limited to properties valued below a $1 million threshold. While some priced-out buyers will find homes affordable this year following modest price declines and some income gains, financing constraints will contribute to a continuation of weak home sales and factor into fewer move-up purchases. In addition, credit standards for federally regulated financial institutions were also tightened by the Office of the Superintendent of Financial Institutions (OSFI) late in the year. Both measures will impede household credit growth and lower homeownership demand. The long-awaited switch back to a PST from the current HST tax system will likely generate a slight bump in home sales after April. While resale home sales are not directly subject to value-added taxes and the impacts on new home sales have been mitigated in part by transitional rebates, some buyers have likely delayed purchases to avoid additional taxes on closing costs and professional services. Reversion to a PST will also lower taxes on real estate commission. Buyers may see this as a sign of greater price flexibility on the part of sellers. The tax regime shift will also provide a boost to renovation activity. B.C. resale activity is forecast to hold steady this year but, coming off a 12-year low of 64,400 units, 2013 resales will again be dismal. The year-long housing correction in resale home transactions likely bottomed in the first quarter of 2013 and a nascent recovery is expected through the rest of the year. However, gains will be modest. Annual sales are forecast to reach about 64,200 units. Sluggish employment and population growth, and stringent credit conditions will be the primary anchors. Lower Mainland-Southwest (LMSW) resale transactions, which account for about 60 per cent of provincial sales, are forecast to decline by 4 per cent despite a second half upshift in momentum that will extend into 2014. Tightening of mortgage insurance rules hit the region particularly hard. In contrast, higher activity in other regions of the province will provide an offset. Housing volumes in the Okanagan, Kootenay and Vancouver Island remain near recessionary levels as they to struggle with weak demand and excess inventory, but sales are bottom-building and expected to rise with moderate improvements in demand and easing of new home inventory. Sales declines in the Lower Mainland will keep provincial condominium apartment sales low following a 14 per cent drop in 2012. A positive sales trajectory is expected to extend through 2014, generating annual sales growth of about 13 per cent in 2014 and 8 per cent in 2015 to 78,500 units. Improving growth in the economy will be the driving factors as will higher consumer confidence. Sales growth is forecast to decelerate later in the forecast horizon as rising mortgage rates pare the housing market recovery. Provincial median home values have eroded since mid-2011 and that trend looks likely to continue into the second half of 2013. Persistent low home sales and excess inventories in most regions of the province will pull the median value down for a second consecutive year as more sellers waver on asking prices amidst buyers’ market conditions. Following last year’s 4 per decline cent, expect B.C.’s median annual price to slip 5 per cent to about $363,000, matching a level last seen in 2009. A 5.5 per cent decline in the Lower Mainland- Southwest median home price will drive provincial performance. 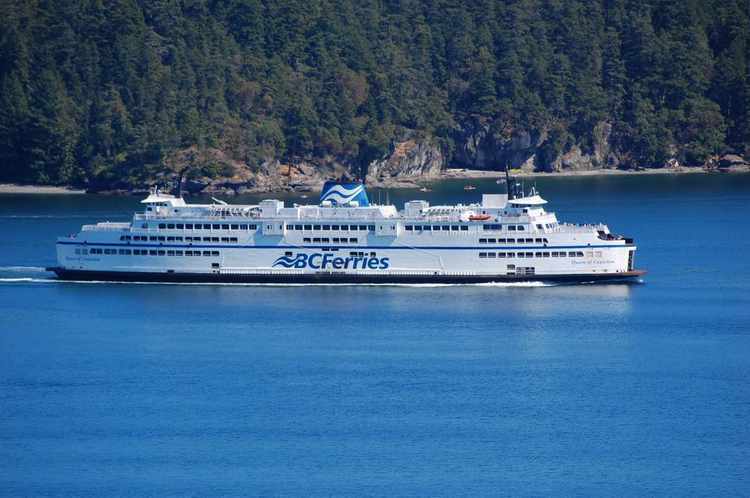 Despite sales advances in the central and southern interior markets, and on the Vancouver Island, the persistence of weak demand in the recreational and retiree markets will further erode prices. These markets have recorded low volume and gradual price declines since the recession. Northerly markets are expected to observe stronger sales and price profiles as major project construction and investment underpin activity. Adjustments to both housing supply and an upturn in demand are necessary to arrest the price slide. The former is already underway. Fewer houses are coming onto the existing home market as some potential sellers choose to wait for better market conditions. In the absence of shocks to household finances such as job loss or sharp increases in interest rates, sellers have the luxury of time and will delay selling if reservation prices are not met. Combined with an expected sales improvement, price levels are forecast to stabilize by the third quarter. A buildup of new home inventory, particularly in the Lower Mainland, suggests underlying supply will remain elevated, despite owners taking their properties off the market. Home sales and inventories will continue to adjust through 2015, but conditions will underpin a flat pricing environment. We forecast B.C.’s provincial resale price to rise by less than 2 per cent in 2014 to $369,000, with a further gain of 1 per cent in 2015. While resale activity makes up the bulk of total transaction activity, sales of new homes have averaged about 18 per cent since 1980, with the share rising and falling with housing construction cycles. Following three annual declines, new home transactions will rise sharply to more than 19,000 units this year as multi-family projects starts from 2010 and 2011 reach completion. While most units are pre-sold as a condition of construction financing and will translate into sales, weak home sales suggest a further increase in new home inventory upon completion as a higher than normal excess units go unsold. New home transactions are forecast to ease in 2014 as housing starts slow. Housing starts decelerated in the latter part of 2012 as developers pulled back in light of low resale market activity, declining prices and high resale and new home inventories. Starts are forecast to fall about 10 per cent this year to 24,800 units, largely reflecting fewer multi-family project starts in the Lower Mainland-Southwest. While builder activity typically lags peaks in demand, slower pre-sale activity will curtail project starts as developers are unable to meet pre-sale thresholds required for construction financing. Excess supply in the central and southern interior markets and Vancouver Island will constrain new home starts for another year, keeping them near recessionary lows. Stronger economic conditions should generate increased starts in 2014, but the uptrend will be more muted than observed in past cycles since interest rates will be rising from record lows. Nonetheless, a cyclical upturn in demand is predicted to pull housing starts up 8 per cent in 2014 and to above 30,000 units annually in 2015. Rental market conditions vary significantly by local area. Larger urban markets like Metro Vancouver, Victoria and Kelowna typically have lower vacancy rates, reflecting higher population growth and diversified economies. Relatively tighter conditions are also observed in more northerly markets, which have benefitted from the commodities-related investment cycle and job creation. In contrast, areas with stronger dependence on industries like tourism and forestry have higher vacancy rates. The provincial vacancy rate of purpose-built rental units rose to 2.8 per cent in 2012 from 2.5 per cent in 2011, despite a delay in homeownership by entry-level buyers due to tighter mortgage insurance rules. Weak population and employment growth limited household formation, while the rental universe of purpose-built and the number of privately owned condo rentals increased. Vacancy rates are forecast to hold steady this year and ease in 2014 and 2015. Constraints to homeownership for first-time buyers and modest improvements to the economy will increase demand for housing accommodations, including rental. However, with rental unit starts elevated in 2012 and a high number of condominium projects reaching completion – a significant portion of which will be rented out – supply also looks likely to rise. 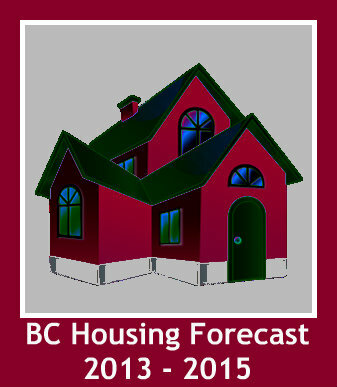 The provincial vacancy rate is forecast to dip to 2.6 per cent this year and trend to about 2.2 per cent by 2015. Renovation spending held steady in 2012, rising less than 2 per cent in current dollars – little changed from 2011 after construction-cost inflation. The economic and housing slowdown played a role in the performance. The looming switch back to the PST could also have postponed some spending, particularly as the switchover date approaches. Renovation spending will bump up during 2013 and into 2014 before gaining significant traction in 2016 and 2017. The slowdown in housing market activity dampens the overall economic growth profile through 2014 before shifting higher in 2015. Residential investment is forecast to edge lower in 2013 by 0.6 per cent, adjusted for inflation, as fewer housing starts drag on output, and slow resale activity weighs on acquisition activity. Investment is forecast to increase by a modest 1.4 per cent in 2014 before accelerating to about 7 per cent in 2015 as the housing market recovery gains traction. Regional housing market activity can differ sharply from provincial trends, particularly given the significant weight attributed to the Lower Mainland- Southwest. While general macro-economic factors including interest rates, the economic environment and confidence impact all markets, local economic and housing market circumstances contribute to regional differences. Challenging housing market conditions are forecast to persist on Vancouver Island although sales will likely see modest increases through 2015. 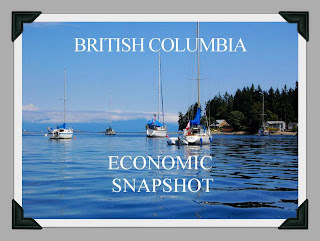 Similar to markets in the southern interior, Vancouver Island was hammered by a retrenchment in recreational and retiree housing demand which has yet to improve, particularly in areas outside the provincial capital. Meanwhile, budget tightening on the part of the provincial government has tempered activity in the provincial capital. Resale activity on the Island fell 5 per cent in 2012, marking a fifth consecutive contraction in annual sales. The 2012 slump is expected to reverse this year, pushing sales to 11,500 units, before gradually rising to 13,500 units in 2015. In comparison, resale activity ranged from 18,000 units to 20,000 units from 2005 through 2007. While retiree demand is forecast to improve slowly over the forecast horizon as baby boomers revisit retirement plans, overall sales will remain stunted. The regional economy will likely see some improvement to the coastal forestry sector, but tourism will be held back by the elevated Canadian dollar, relatively high transportation fees to the Island and competition for dollars south of the border. Tempered government spending will also weigh on the market. A persistent over-supply of new and existing housing on the Island, particularly outside the Capital region, will lead to further easing of median price levels this year of about 1.5 per cent. This will mark a third consecutive annual decline. Median prices are expected to hold steady in both 2014 and 2015 as higher activity props up prices. Looking like a refugee from Transformers the long snorkel arm of a cement pumper unit delivers concrete to the second floor of phase two of the Port Place Mall makeover. If memory serves, the second floor of this section will all be residential units with retail/service spaces occupying the ground level units. This is a project of First Capital Realty which according to the company website is Canada’s leading owner, developer and operator of supermarket and drugstore anchored neighbourhood and community shopping centres located predominantly in growing urban markets. "Our properties are where consumers shop for everyday life – groceries, prescription drugs, personal care items, household supplies, banking and other personal services." First Capital Realty Inc. is a publicly traded stock [TSX-FCR]. The stock is currently trading for $18.95 having shown a steady rise from a post '08 meltdown price of just under $10.00 early in 2009. Looks like PM Harper's flip comment about being a good time to buy stocks would have been true in this case showing nearly a 90% appreciation in capital since 2009. This is the same company that owns the Commercial Street retail space in the Port of Nanaimo Centre (conference building) occupied by a coffee shop, insurance company and an eye-ware store. This property holding would seem inconsistent with the company statement of property ownership. They at one time owned the portion of Terminal Park Mall housing the government liguor store which they renovated on the outside and then have since sold to another company after increasing lease rates. In addition to Port Place Mall the company also owns Longwood Station on Turner Road. The company website offers some interesting market demographics concerning these two shopping centres. Port Place Mall has a population of 3,739 within 1km with an average household income of $37,223 and a population of 22,712 within 3km with an average household income of $41,515. Longwood Station has a population of 4,414 within 1km with an average household income of $55,860 and a population of 24,688 within 3km with an average household income of $66,589. These market demographics are quite revealing and would show why retail activity in the 'north end' should exceed retail activity in the downtown area. I am sure that lease rates would also be higher in the north end. Come downtown to enjoy the Easter Spring Fling! Join us in Downtown Nanaimo on Saturday, March 30 with your friends and family to celebrate Easter! This year’s Easter Spring Fling will kick off in Diana Krall Plaza at 9:00 am with a pancake breakfast hosted by the Cedar Lions. Adult breakfasts consist of 3 pancakes, 3 sausages, 2 eggs, tea, coffee or juice all for $6; children’s sized breakfasts are also available. While enjoying your pancake breakfast grab an information bag filled with everything you need to explore downtown. In your information bag find a detailed map drawing you to three different areas of downtown. Visit each area to unlock your chance to win a grand prize! Festivities in Diana Krall Plaza will be from 9:00 am-2:00 pm. Once you have discovered the clues at each downtown location you can return to Diana Krall Plaza for fun filled activities! In Diana Krall Plaza enjoy Easter themed crafts, hop around on the bouncy castle, get your face painted, enjoy a magic show and meet the Easter Bunny! This year for the first time there will also be a potting station where little gardeners can pot a plant to take home. Admission by donation to the Food Bank. This show is the direct result of a group of Island Glass Artists looking for better ways to connect with the public. The venue will be set up as an Arts Festival with the individual Artists manning their displays. This is a great opportunity for members of the public to come and experience Glass Art and talk to the creators of that very art. Working with glass in a number of ways, the Island Glass Artists create Stained, Kiln Cast, Fused, Lampworked, Sandcarved and Furnace Blown Glass. Pieces range from functional to decorative and architectural in their applications. Window and door panels, lamps, jewelry, vessels, glass sculpture and much more will be on display and for sale. Another Sure Sign Of Spring! 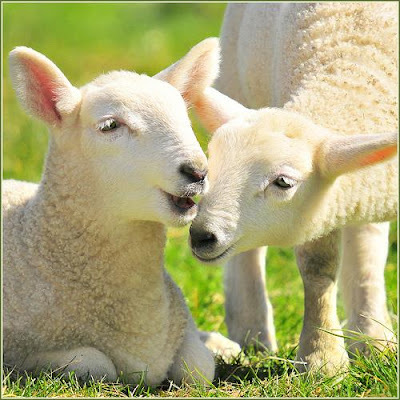 Local photo artist Sheryl Falls captured another sure sign that Spring is official in Nanaimo with this charming capture of two traditional harbingers of the season at a local Nanaimo farm. To view more of Sheryl's captivating captures visit her HERE. Spring Is Here! Sunshine & Blue Skies! Councilor Diane Brennan - Taxpayer Fatigue? At the recent electronic (waste of tax dollars) town hall meeting Councillor Brennan made the statement she did not believe that taxpayer fatigue exists in Nanaimo. In fact she challenged the notion at all. She made reference to the results of an Ispsos Reid survey pointing to general satisfaction among 90% of Nanaimo residents. Really? I wonder if Councillor Brennan actually read the survey, or just cherry picked the results she likes? This survey, Brennan uses to support the argument that taxpayer fatigue does not exist, clearly indicates that 50% of those responding to the survey she quotes would disagree with that statement. 41% (of respondents) said to cut services, of the 41%, 26% said cut services to maintain current tax level, while 15% said to cut services to reduce taxes. These results (which are likely weighted to an inflated positive response) clearly show that an equal number of respondents have no appetite for any more tax increases at all! It is interesting to note that 15% of the respondents want taxes reduced, a percentage which is actually higher than the percentage of eligible votes any member on this council captured during the last civic election. Note: The results of this entire survey are suspect being based on the 4 - point scale used to frame the questions. This type of scale tends to lead to an inflated positive result producing what some survey companies describe as an 'impoverished and inaccurate data set'. Shopping Sense provides a multimedia experience for shoppers and is supported by grocery chains Safeway, Thrifty Foods, Real Canadian Superstore, Save-On-Foods and MarketPlace IGA. The five retailers recognize the need to help families plan and prepare healthy, affordable meals before they step foot in the grocery store. The chains are showing their support with the option of promoting the tool through in-store flyers, digital newsletters, social media and on their websites. The Shopping Sense tool – found at www.shoppingsensebc.ca – is a new addition to the Healthy Families BC website. The site provides an experience that mirrors an in-store, dietitian-led tour, helping families plan meals, prepare budgets and develop safe food-handling practices. Evidence shows that physical activity and healthy eating can prevent or delay the onset of chronic diseases that take a huge toll on lives and on our health-care budget—and this pays great dividends for patients and the health-care system. Reducing sodium and sugary drink consumption and increasing fruits and vegetables in family meals are key strategies British Columbians can adopt to promote their good health. VICTORIA – Good news for potential buyers of clean energy vehicles! If you thought you had missed out on your chance to save up to $5,000 on a qualifying CEV – don’t worry. British Columbia’s point-of-sale incentive program has been extended for another year. Environment Minister Terry Lake made this announcement today at the Vancouver International Auto Show. 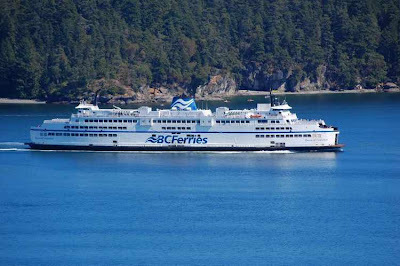 The Clean Energy Vehicles for British Columbia program – which provides B.C. residents with up to $5,000 off the pre-tax sticker price for qualifying new battery electric, fuel-cell electric, plug-in hybrid electric and compressed natural gas vehicles – was originally due to wind up on March 31. In order to build on the sales momentum created by the program over the past 16 months, $2.5 million will be carried over from the original $14.3 million Clean Energy Vehicle Program to extend the incentive program through the 2013-14 fiscal year. The New Car Dealers Association of B.C. will continue to manage, administer and promote the program on behalf of the Province. In addition, the LiveSmart BC Residential Charging Point Rebate Program – which provides rebates of up to $500 per unit for residential electric charging stations that meet identified eligibility requirements – also has been extended for another year. The CEV for BC and residential charging point rebate programs are part of the B.C. government’s Clean Energy Vehicle Program, which is a comprehensive program designed to provide British Columbians with a variety of clean and green choices for their transportation needs. 431 vehicles purchased to date with CEV for BC incentives. 111 residential charging point rebates have been issued. Over 500 Community Charging Infrastructure Fund supported Level 2 (240-volt) publicly available charging stations are expected to be in operation this spring. 13 direct current (DC) fast-charging stations are being strategically located along the Highway 1 corridor this spring. $600,000 in funding for design, research and curriculum development on clean energy vehicles provided to a range of post-secondary institutions in B.C., as well as BC Hydro and multi-family housing associations. Expect The Financial Plan To Increase Again! This Council Has NO Idea Of How To Reduce Taxes! The following is a transcript of the insight which came from city council at the electronic town hall meeting on March 25, 2013. I posed what I thought was a very easy to answer question given that this council has been diligently discussing and debating the $851,000,000 financial plan they adopted two months ago and have now seen for three months. Or have they?? Judging by the near complete silence that came from this council you can rest assured that the $851,000,000 financial plan they have adopted, if anything will increase in size. It is unfortunate there are no more 'Loyd Sherrys' on council, who used to always refer to this time of year, as the time councilors had to roll up their sleeves and get to work. Question: I would just like to hear from each member of council what is one measure that you are personally considering as a means of possibly reducing the residential property taxes this year. Mayor Ruttan: I don’t know if we want to get into it, do we have the time to get everyone involved, we’re running really quite a bit behind schedule, are there many questions left on the ah this thing. When everyone is trying to solicit everyone’s opinion it’s very very time consuming. Mr. Cooper: We still do have quite a few questions remaining so, um, I’ll leave that up to either side. Mayor Ruttan: OK well, does someone just want to take this question, or does staff want to have a go at it. Mr. Anderson: Thank you Mr. Chair, I’ll just answer quickly, one of the reasons why we did this e-town hall was to hear what the community wanted us to look at. And so after this, I’m sure all of us on council will sit down and have a conversation and see what possibilities there may or may not be. Mr. Kipp: Yeah, currently with the budget it seems like we are into that process where we have already adopted it by motion. But I’m looking to the future what our pipe, our standards of engineering what they are going to be in the future, how they go along with global warming, start to look at the long term things, investing in our infrastructure, those type of issues, reductions of the buildings we are building now, putting forth ideas of how we can reduce the cost of our buildings, those type of things. 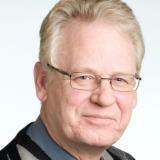 Municipal Costs: Mr. Clemens, Director of Finance to provide a presentation regards municipal cost pressures. Delegations Re: Boat Basin & Nanaimo Harbour: There are two delegations speaking to the proposed development of the Boat Basin Marina. To download a copy of the agenda for the next COW meeting click HERE. Councillor McKay's Suggestion Too Complicated? Seems To Think Reducing Spending By 5% Is Simple! If you have watched council for any length of time (you likely need a hobby) you will already know that certain councilors think it is absolutely impossible to reduce the level of spending at city hall by so much as a penny. Given that they have had the $851,000,000 budget since last Dec. and as yet have not made one suggestion to control spending, this lack of creative thinking is distressing. Councillors Greves and Brennan will always rise to defend continued generous wages at city hall and think it inconceivable there are any efficiencies to be found at city hall. Councillor Greves recently said that the city was not collecting enough money now, and Councillor Brennan can see no sign of taxpayer fatigue. Councillor McKay Needs To Dumb Down His Message! When explaining how difficult it was to reduce the budget by 5%, he said it is no more complicated than telling different departments that their budgets are being reduced by 5%, so figure out how to manage. This is not unlike the situation in households all across Nanaimo, who clearly don't have Councillor Brennan's or Greves sympathy. The idea of telling department heads to figure out how to spend 5% less happens all the time in the real world, but in the make-believe fantasy world inhabited by city managers and most of this council it is simply beyond comprehension. The only councillors who consistently seem to be looking for ways to save tax dollars are McKay, Bestwick and Kipp The balance of council seem to think that unless they keep endorsing more and more ways to creatively spend YOUR tax dollars, they just aren't doing their jobs. How long till the next election?? Can't come soon enough! Truth In Advertising ... How Refreshing! 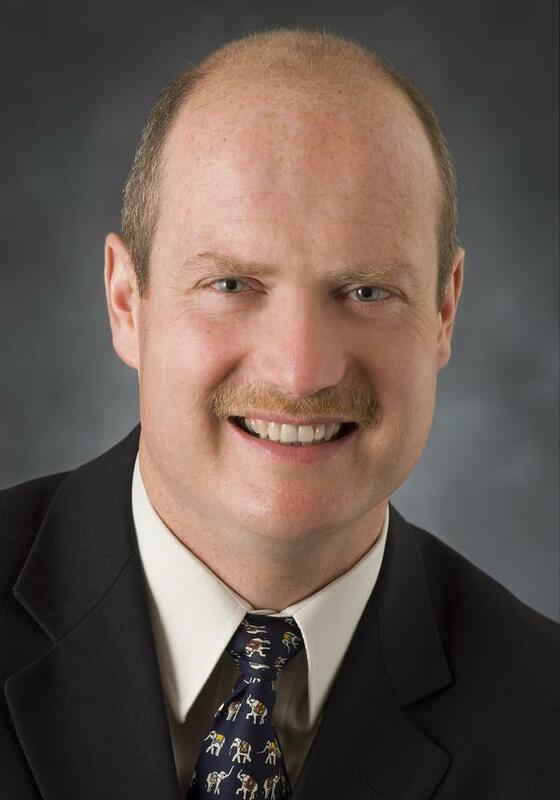 Vancouver Island University and Vancouver Island University Faculty Association (VIUFA) have reached a tentative agreement under the 2012 Cooperative Gains Mandate, Minister of Finance Michael de Jong announced today. The two-year agreement provides for modest wage increases funded from savings found within existing budgets, as required under the 2012 Cooperative Gains Mandate. The VIUFA represents about 715 people working at Vancouver Island University as instructors, assistant instructors and technical staff. Almost three-quarters of unionized employees in the B.C. public sector now are covered under negotiated settlements. This represents over one-third of all agreements. The B.C. government has been clear that there is no new money to fund wage increases and there is no desire to download these costs onto families or future generations. The Cooperative Gains Mandate provides public-sector employers with the ability to negotiate modest wage increases funded from savings within existing budgets, not adding costs to taxpayers and ratepayers, and not sacrificing services. Settlements under the 2012 mandate are expected to be unique between sectors and between employers in some sectors. “This mandate gives employers and unions the opportunity to find creative solutions, and this means no two settlements are going to be alike. We are going to see unique settlements in every sector and with each employer.” commented Finance Minister Michael de Jong. In true city council fashion, they decided to award a $45,849,600 contract for the South Fork Water Treatment Plant which had come in $5,000,000 over budget. The staff report would indicate that staff are at a loss as to why the tenders for this contract came in at 10% over estimated amounts. It brings to facts into focus: city staff guesstimates are just that, and city council never seems to question the spending of really large sums of money, without any discussion. If this was all the deliberation council gave this issue, it is rather scary to think the same bunch are in charge of an $851,000,000 budget, for which they have NO ideas of how to reduce the burden on local taxpayers. 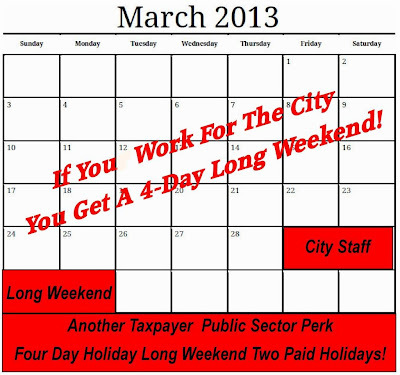 Remember that Councillor Brennan is of the opinion that there is no such thing as taxpayer fatigue in Nanaimo. While international finance is well beyond the scope of Nanaimo Info Blog, the reality of how the new economy impacts Nanaimo is not. 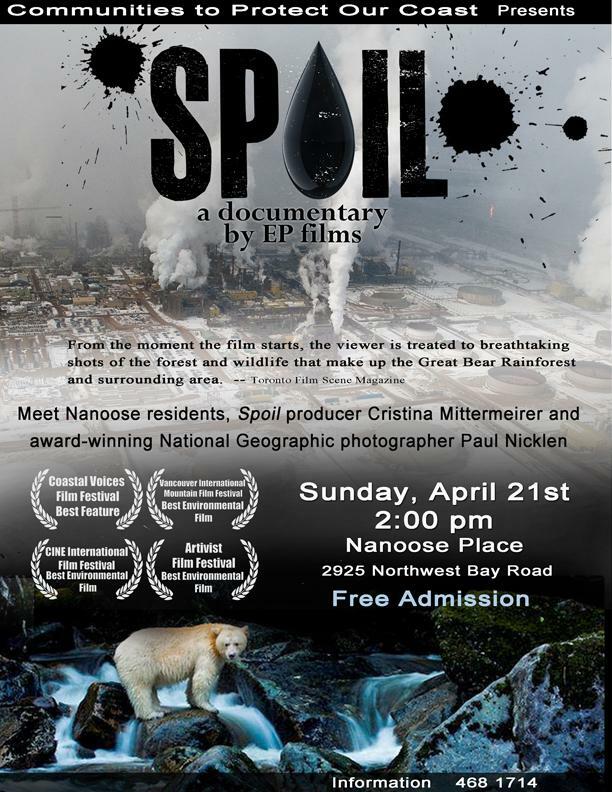 In spite of example after example of what happens when governments continue to finance todays wants with the next generation's wealth and continue to follow their citizens rather than lead, there is no appetite on Nanaimo City Council or city hall management to bring spending into line. 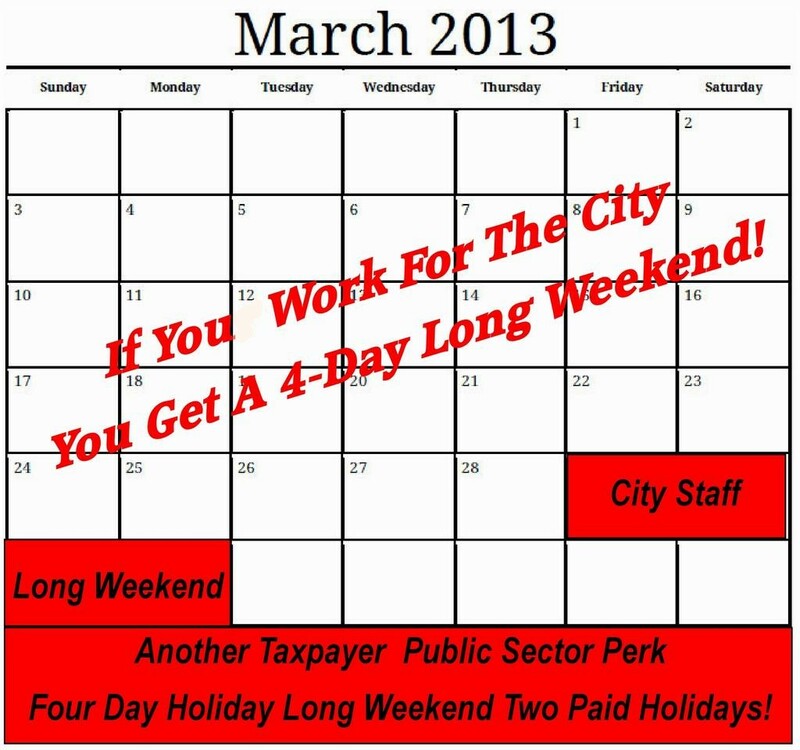 In fact you have Councillor Brennan declaring their is no evidence of taxpayer fatigue in Nanaimo as she defends what some would call out of control wages at city hall. Perhaps in her sphere of support there is no evidence of such fatigue. I am sure if you were to ask members of the IAFF or CUPE or the exempt staff at city hall if we can afford more tax increases, they would agree with Brennan in her belief that increasing taxes at a rate three times that of inflation is not a problem. If you agree with her say nothing, if you disagree perhaps you should voice your opinion by giving her a call, or sending her an email. Councillor Brennan Puts A Lot Of Faith In This Kind Of Survey! This first appeared in June of last year and was quite timely as city hall and more recently Councillor Brennan want to reference an Ipsos Reid survey that basically said Nanaimo taxpayers were really content with how their city was being run. The survey only called 300 homes, and as the following article points out the way the questions were framed, it would guarantee a questionable citizen satisfaction survey. To base taxpayer satisfaction on a phone survey of 300 people, using basically loaded questions, makes about as much sense as forming a strategic plan on the wish list of less than 500 people. CALGARY, AB, Jun 18, 2012/ Troy Media/ – Some years ago, the City of Calgary conducted a multi-million dollar effort to engage citizen’s in the development of a new transportation strategy. The Go Plan used consultations, focus groups, workshops and polls to engage citizens and gather feedback. Shortly before the release of the final report, someone thought it might be a good idea to conduct a more scientific survey of Calgarian’s. It was an afterthought, a last minute effort to ensure i’s were dotted and t’s crossed. A professor of transportation planning at the University of Calgary was quickly contracted to conduct the survey. The results completely contradicted what was already in the soon-to-be released Go Plan report, setting up a potential public relations disaster. Disaster was adverted by simultaneously releasing and dismissing the scientific effort as a small, insignificant part of the larger consultative process. Thus, the unbiased picture of what Calgarian’s wanted in a transportation system was ignored, while millions were wasted meeting the needs of specialized interests. Gathering citizen feedback to improve public services has all but disappeared. Now, survey research is conducted for the public relations purpose of ensuring a positive result. This is the Billy Beane, Moneyball strategy of; “If you get the answer you’re looking for, hang-up”. People are suspicious of these surveys, but are unsure as to how things are manipulated. Well, here’s how. 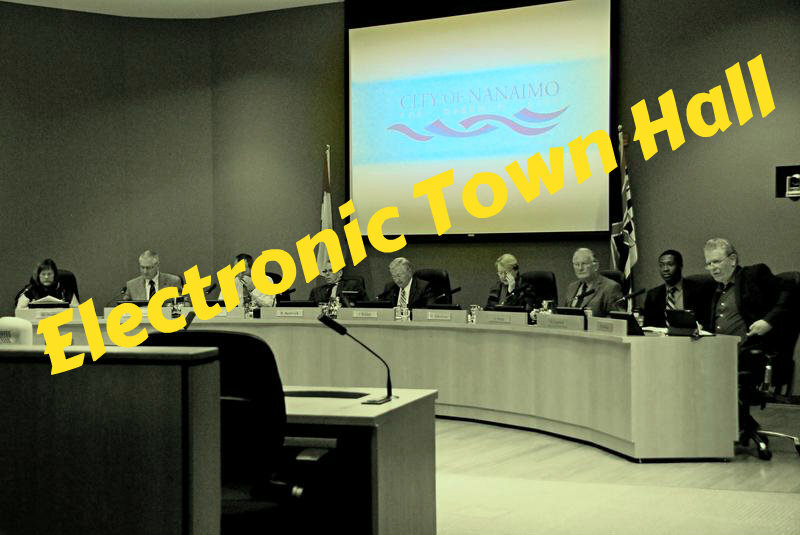 The first electronic town hall which took the first hour and a half of the regular council meeting on March 25, was pretty much a waste of time and money. There was no meaningful questions asked or answered and the results assured Councillor Brennan that there is no such thing as taxpayer fatique in the city of Nanaimo. Once again, she referred to the 300 person survey as assurance that council should stay the course and keep spending, spending and then spending some more. No one on council seemed to be able to suggest any possible way that the cost of staffing could be dealt with even though wages and benefits accounts for the spending of about 80% of every tax dollar that is collected. A question about the cost of firefighters, as could be expected was defended by Councillor Greves, who seems to have no issues with a 14% increase in two years, and not accepting another 5.5% this time around. This idea that all firefighters in the province are to have parody with Vancouver is sheer lunacy. The acceptance of such generous wage and benefit settlements in spite of the current economic reality by all members of this council, clearly points to the need for some fresh blood on city council come next election. I only posed one question to city council which was: "I would like to hear from each member of council, what one measure you are personally considering as a means of reducing residential property taxes this year'. This question was met with a totally dumb council, with the exception of Councillor Kipp. All other members of council clearly have given no thought to how taxes could be reduced at all. The tax and spend mentality of this council is not surprising but certainly disheartening to say the least. Councillor Brennan is convinced there is no such thing as taxpayer fatigue and feels quite confident in seeing your taxes increase at least another 23% over the next five years. Were Questions Rehearsed By Council?? 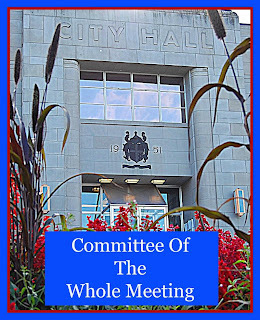 I have asked Mayor Ruttan to tell me whether city council was hearing all the questions for the first time live and on air, or had they been rehearsed earlier? The reason I ask, was the fact he and council were unable to answer my question, which I know was unrehearsed. If I hear from the mayor I will relay his comment here. Another Million Or So For New Offices! A few years ago the brain trust at city hall felt they needed new offices, what with the extreme hazard presented in the 80 year old building they were occupying and all. A hazard so great, the building has to be condemned, but not until after the Mayor and other city staff use it while city hall gets a reno. So, why does city hall need a reno? Well it seems that before building the newer, bigger annex there was sufficient space for some staff to work from the old annex, and the mayor and other staff to work from city hall. But now, that the new bigger annex is built, some of the staff that used to work in the old annex, now are moving into city hall. The result of course, is that the old city hall would hardly be suitable for the city manager to move into in it's old state. Considering he will be moving out of his top floor luxury office in the old hazardous annex which we sold for $1.00. Really ...... you can't make this stuff up! To view the video of the presentation, click on the above image and then scroll down the left hand side under the 'Time' heading to 5:10 PM, 13. (c) and you can listen to the whole presentation. Clearly Mayor Ruttan is upset with the public information which was leaked about this pending deal and while he blames the messengers and does not deal with the message, he seems to miss the point of my presentation. The point? 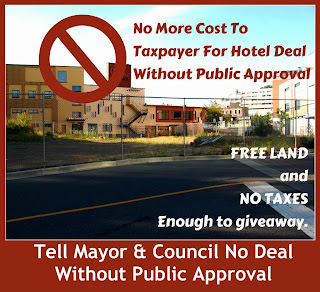 There are a great many residents in Nanaimo who do not trust this council or city hall administration to broker a business deal for a hotel that would be good for the Nanaimo taxpayer. There is yet to be produced any credible business plan that supports giving away anything to coax a hotel developer to build an upscale hotel adjacent the conference centre. When Mr. Kenning makes statements in the press to the effect that this deal does not require voter consent he is behaving like a king rather than the highest paid civil servant at city hall. The idea that Nanaimo residents could be faced with guaranteeing a $1.25 million profit to the operator of the conference centre for more than 5 years and not require voter accent is absolutely infuriating. This is exactly the attitude that exudes from city hall that has led to the high level of distrust felt by many citizens. In recent memory, they decided they didn't need to inform the public before spending $16,000,000 on a shiny new office, or deciding to rip out the dams in Colliery Park without any public consultation. 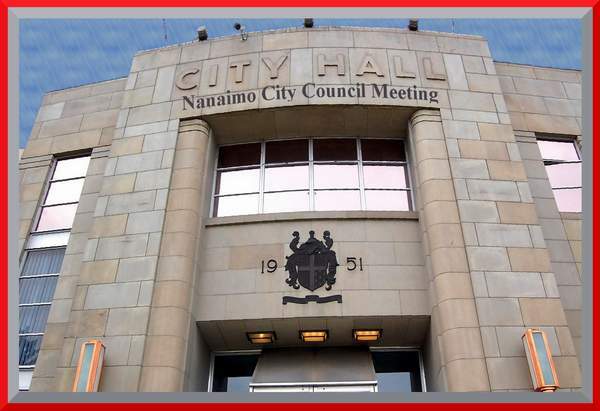 It is long past due for Nanaimo residents to start paying attention to some of the arrogant, high-handed methods which city hall has become accustomed to employing as they take care of YOUR business. Perhaps the most offensive conduct at city hall is the often abused 'in-camera' process which is used to hide the decision making process from the public, and even allow councilors to hide how they stand on contentious issues using the in-camera cloak. Nothing to hide? Then why so much secrecy? It is still unknown which councilors approved the $16,000,000 new office, the only thing known for sure is that the first time they voted on it, it was defeated! Just what kind of misinformation did staff provide councillors to scare them into supporting the dams in Colliery Park without talking to the public? The risk and cost to build new, were both grossly overstated when the city made their first press announcement, so how badly did staff misinform council in an effort to coerce them into making another secretive decision? This is yet another example of how council takes the brunt of the public outcry, and city staff can hide behind their desks and repeat 'council told us to', when in fact it was city staff that coerced council into making the decision. I am sure there were exaggerated stories of casualties, costs etc. not to mention the degree to which councillors would be liable should we do nothing. If it is that dire, why has staff been dragging their feet for years?? Staff has some serious questions to answer one of these days, to exactly how they have handled the Colliery Dams issue for the past number of years and why after years of studies etc. it was finally necessary to make a closed door decision in thirty days? If the situation is so dire, why have they done nothing to mitigate the risk, even now? It is not unlike saying how dangerous the old annex is, and then moving the Mayor and his office into this 'high hazard' building while they renovate city hall? Many times their logic does not even pass the smirk test. 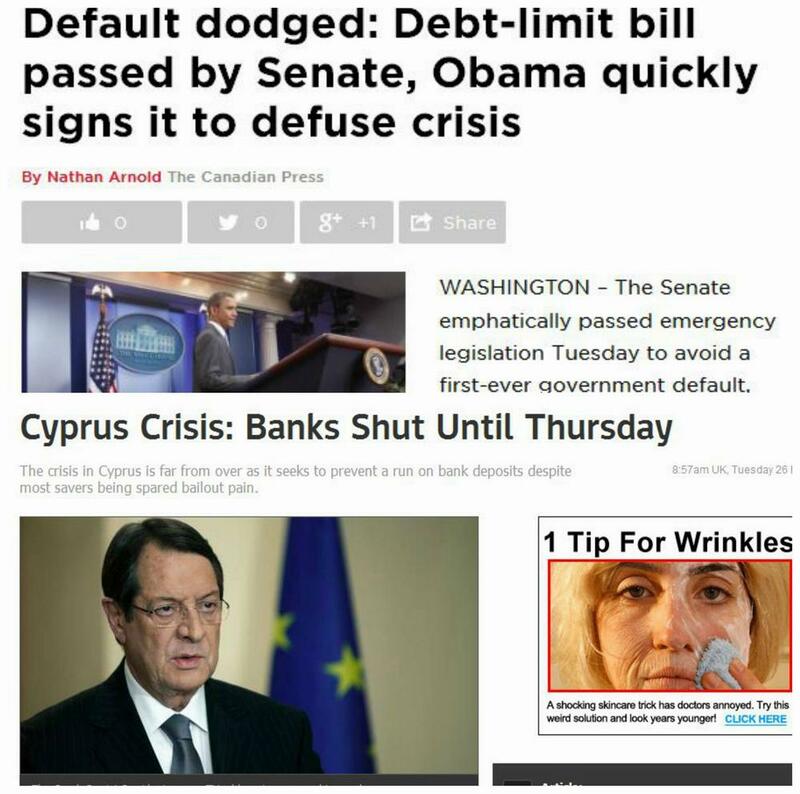 They wonder why the level of distrust keeps growing by the day! Does not mean they aren't negotiating a DEAL! VANCOUVER, BC, Mar. 23, 2013/ Troy Media/ – B.C.’s retail spending growth moved in sync with the national performance in January, advancing 1 per cent from December to a seasonally-adjusted $5.12 billion, reversing the previous month’s slide. Sales expanded in most retail sectors, led by higher motor vehicle and parts sales and a rebound in the building materials sector. Same-month sales were up 2.6 per cent from 2012, led by a 2.8 per cent gain in the Vancouver CMA. January’s uptick was an encouraging sign following a holiday slump in December, but not enough to suggest a material improvement in consumer demand. Retail spending levels remained tempered and within the range observed through most of 2012 as consumers continued to hold back amidst a subdued labour market performance, housing market malaise, and broader economy uncertainty. Once higher prices are factored in, B.C.’s retail sector likely recorded a drop in the unit volume of goods sold since early 2012, despite positive population growth. We expect retail sales growth will accelerate by about 4 per cent this year despite current weakness. While employment and population growth will remain below average, growth in personal income and the shift back to a PST should provide a modest boost to the retail economy, particularly in the latter half of the year. Manufacturing sales in B.C. partially rebounded in January after stumbling in December. Sales rose to a seasonally-adjusted $3.19 billion, marking a 2.1 per cent increase from December and a 3 per cent gain from year-ago levels. Year-over-year growth was led by wood-product manufacturing which increased 15 per cent and non-metallic mineral product manufacturing. In comparison, paper manufacturing was down 13 per cent. Despite January’s rebound, activity crested in the third quarter and has since trended lower – coinciding with a slowdown in the broader exports and contributing in part to a decline in manufacturing employment. Range-bound manufacturing sales over the past two years have remained more than 10 per cent below mid-decade levels. A rebound has been hindered by a challenging export economy and the elevated Canadian dollar. Don't get me wrong I think that the occasional long weekend where we all get paid for producing nothing is a good idea. We all can benefit with a break from the sometimes tedious, mind numbing jobs we do in order to keep body and soul together. We all know that city hall workers are among the best paid in the city, and enjoy a most generous benefit package that few of us mere mortals can only imagine. And with the threat of job action always just a breath away, and no appetite on the part of their employers to ruffle any feathers they seem to be able to pretty much write their own contract. The bargaining process where CUPE or IAFF are bargaining with an employer not subject to the constraints that exist in the private sector has become pretty lob sided and greatly favours labour as there are really no pressures for the employer to engage in serious bargaining. After all, the city taxpayer purse is limitless and whatever increases they agree to are simply passed on next year in the form of more taxes. An example of this is our local firefighters who managed a whopping 14% raise in 2007 - 2009 and are currently refusing to accept an offer of another 5.5%, forcing the city to binding arbitration. I sometimes wonder if this is really reflective of what the rank and file workers think is needed, or just an example of a union executive having to justify their own wages? The BC Conservatives will be nominating their candidate for the upcoming Provincial election Saturday March 23, 2:00pm at the Beban Park Social Centre. After an extensive candidate search, and a thorough vetting by the Party’s Candidate Review Committee, a 23 year old young professional and Nanaimo resident, Bryce Crigger, has been approved for the nomination. Crigger says he’s running for more accountability from government regarding taxation, education and healthcare. “I see a lot of waste in government and a complete lack of transparency in process. This has to change,” he said. Early 'Hot Water On Demand' Concept! Nanaimo Called 'Quaint' --- Is That A Good Thing? The other day I was talking to the publicist for the movie shoot that was in town about the possibility of taking a few pictures for my website, as it is not everyday Godzilla comes to town. During the course of our conversation I was expressing my hope that he had found the Island and in particular Nanaimo, a welcoming and good place to come to. He thanked me for my welcome and remarked that he had not been to the island before, and commented that he found Nanaimo 'quaint'. Not wishing to show my lack of understanding what was meant by the comment I just smiled and nodded and said I hoped he would return. Now, words mean different things to different people, and the word quaint 'can' have a positive spin, but if the dictionary definitions are what is meant, I'm not so sure being called 'quaint' is really something to strive for. He mentioned nothing of out great location, outstanding scenery, renewed downtown or snappy harbour, he just called us 'quaint'. I didn't want to push my luck by asking what kind of experience he had had with our business development office and whether they had been helpful accommodating the different things I am sure such an endeavour must need. Upon reflection I hope he was not referring to any of his dealings with our business community, as I doubt there is a good spin, if he was referring to them as 'quaint'. What do you think? Is being known as 'quaint' the kind of reputation we are striving for in our attempt to become a destination location? VANCOUVER, BC, Mar. 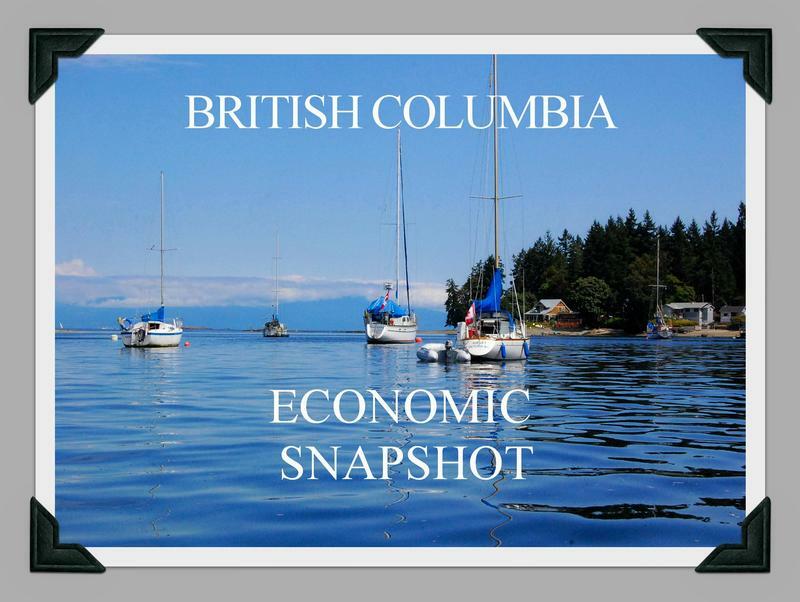 21, 2013/ Troy Media/ – Employment levels in B.C. rebounded in February and more than reversed January’s steep decline. Total estimated employment in the province rose 0.9 per cent or 19,800 persons from the previous month to reach a seasonally-adjusted 2.317 million persons. This marked the highest level since September. Gains were observed in both the full-time sector which grew by 0.7 per cent, while part-time employment rebounded more than 1 per cent. Employment growth was matched by an expansion of the labour force, leaving the unemployment rate unchanged at 6.3 per cent. Among industries, estimated gains were led by services-producing sectors, particularly the finance, insurance and real estate sector which rose 4 per cent, as well as accommodations/foodservices and public administration which both rose 3.4 per cent. Agriculture also recorded a sharp gain of 22 per cent, but the sector is relatively small. February’s surge in employment, while statistically significant, should be viewed with caution and not necessarily as an indication of significant improvement in the economy, particularly as it comes off the heels of sharp prior month drop. A near-synchronous movement of both the number employed and the size of the labour force – reflected in steady unemployment rates — suggest recent employment fluctuations are related in large part to the estimation process and sampling variability, rather than real employment changes. A moving average of the employment data, which smooths out some variability, points to a persistence of a weak hiring environment that has existed since early 2012. We expect hiring to remain tempered this year with forecast employment growth of 1.3 per cent. The latest seasonally adjusted, short-term trends in labour market indicators were positive. Employment edged higher by 0.7 per cent over the latest three month period, representing an increase of about 2,900 persons. Employment has trended higher since August, reversing 2012’s mid-year slump. While employment rose, the labour force expanded at a stronger pace pushing the unemployment up 0.3 percentage points to 6.2 per cent from three months prior. While some of the movement may reflect sampling variability, participation rates are rising back to more normal levels following a post-recession slump. This suggests some unemployed workers are rejoining the labour force with better job prospects. 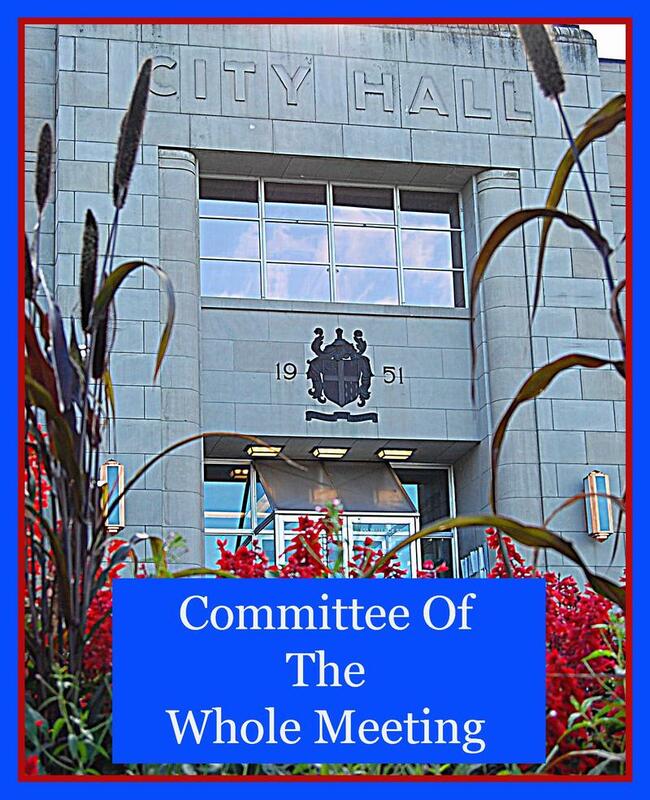 Is Mayor Ruttan's Council Trusted? 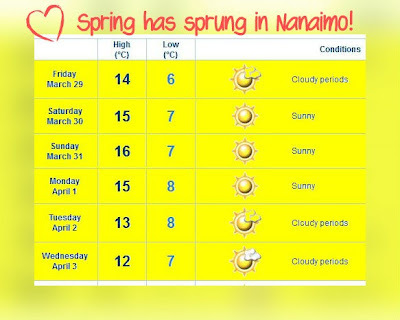 Nanaimo ---- the good! What's Your Story? Nanaimo Run By Special Interest Groups?? NDP Not So Squeaky Clean Either! Surprised? A Reader Remembers Nanaimo --- the good! City Engaged In Legalized Robbery? A Pattern At City Council Meetings?